Product prices and availability are accurate as of 2019-04-19 05:06:58 UTC and are subject to change. Any price and availability information displayed on http://www.amazon.com/ at the time of purchase will apply to the purchase of this product. 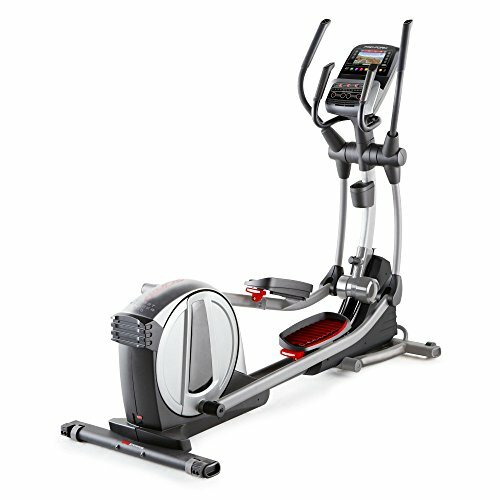 Every time you step on the oversized pedals of the ProForm Smart Strider 935 Elliptical Trainer you get to choose your workout experience. This Google Maps and iFit-enabled elliptical trainer grants you access to hundreds of workouts spanning the globe. It automatically tracks all your workout stats so you can watch progress happen on the 7-inch full-color touchscreen display. Additional Features: Power adjustable incline Soft-touch upper body grips EKG grip pulse SMR silent magnetic resistance 7-inch full color touch display iPod-compatible audio 18-lb. 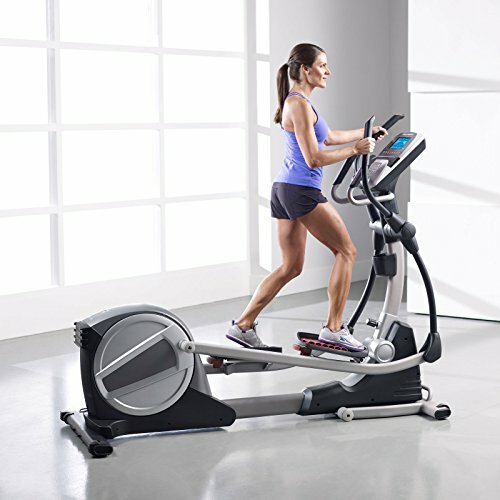 intertia-enhanced flywheel Adjustable, oversized pedals Front transport wheels Water bottle holder Synonymous with treadmills, ProForm had revolutionized the treadmill industry with the now world-famous SpaceSaver fold-away design. 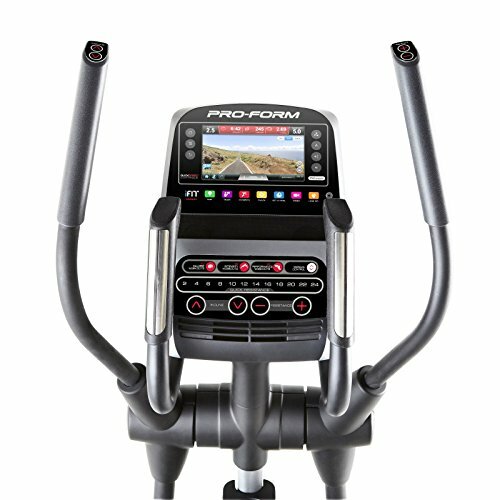 Thanks to cutting-edge advances in cushioning, electronics, and reliability, ProForm's treadmills have become the overwhelming choice of fitness enthusiasts throughout the world. 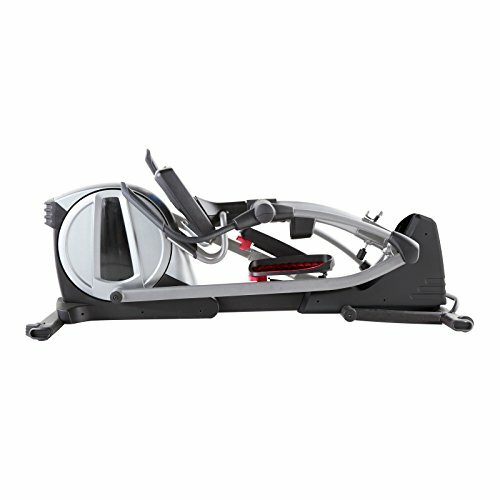 Manufactured by ICON Health & Fitness, ProForm continues that tradition of quality and innovation even today. 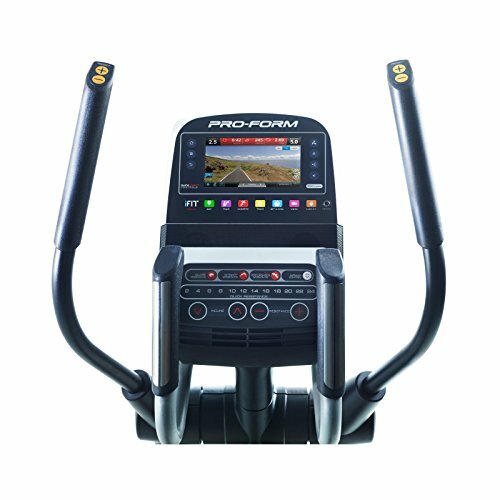 Not content with just producing the world's finest treadmills, ProForm has introduced a complete line of exercise bikes, elliptical machines, weight benches and more - all geared to provide the most effective workout available. Google Maps- and iFit-compatible. 22 workout apps. 20 digital resistance levels. User weight capacity: 350 lbs.. Manufacturer's warranty included (see Guarantee & Returns). Assembled dimensions: 80L x 32W x 77H in..